Recently, Ruth Canning from the World Land Trust (WLT) went to Colombia on the first site visit to meet our partner organisation, Fundación ProAves. The visit provided an excellent opportunity for WLT to get a better insight into the scope and complexities of their work; ProAves is the leading conservation group in Colombia, managing 20 nature reserves throughout the country. 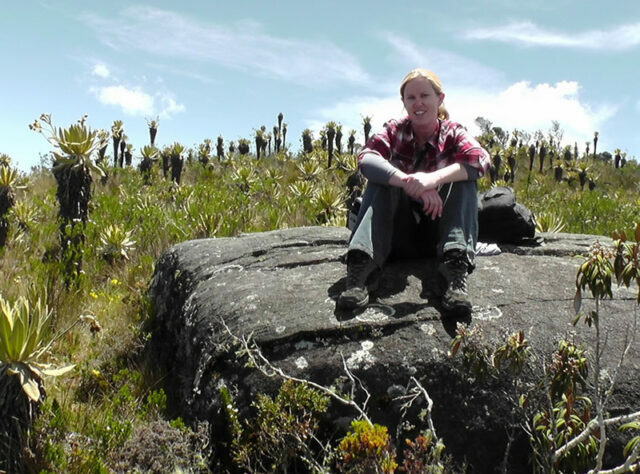 Ruth is WLT’s Conservation Programmes Officer for the Americas, helping to support all 16 of our partner organisations across Central and South America. She helps co-ordinate funding priorities and maintains close dialogue with all these partners from our UK-based office. The The Colourful Puffleg is Critically Endangered; it hangs onto survival in the threatened Chocó forest. Photo © ProAves. ProAves, a relatively new partner for WLT, became part of the new Buy an Acre projects in 2011. This has already enabled WLT to fund the purchase and protection 1,853 acres (750 hectares) of threatened Chocó forest in south-western Colombia, establishing the Zamarritos de Pinche Reserve. 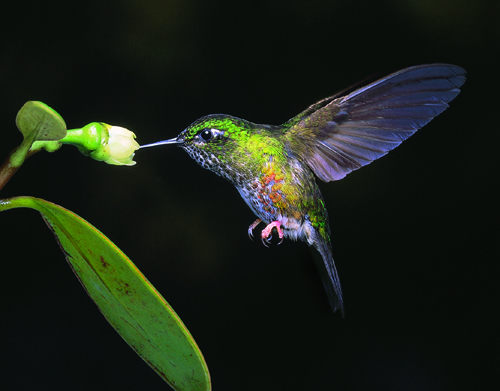 The reserve is now a safe haven for many threatened species, including two of the rarest hummingbirds in the world – the Critically Endangered Gorgeted Puffleg and Colourful Puffleg. During the week-long site visit, Ruth attended meetings with ProAves at their main office in Bogota, the capital of Colombia, to share knowledge and skills. This was a great opportunity to look in greater detail at land purchase and protection opportunities and to further strengthen our collaboration and to discover ways of developing our partnership. Ruth then visited two of ProAves’ nature reserves in the north-west of Colombia, to see first-hand the importance of their on-the-ground conservation work. While exploring the Colibri del Sol Reserve, among Cloud forest and Paramo habitat, Ruth was lucky enough to spot the Fenwick’s Antpitta – a small, highly threatened bird species discovered by ProAves in 2010. She went on to spot the Chestnut-bellied Flowerpiercer, an Endangered bird species that is continuing to decline due to habitat loss and forest degradation. There was great excitement too, when she caught sight of a Dusky Starfrontlet; a Critically Endangered bird known only to live in two tiny forest fragments in this area of Colombia. BirdLife International state that there are no more than 250 Dusky Starfrontlets in the world. Ruth then went on to explore the Las Tangaras Reserve, covering an area of lowland rainforest to highland cloud forest, where she found the Endangered Chocó Vireo – a small warbler-like bird – and the Endangered Gold-ringed Tanager – known for its striking yellow markings, against its dark green body and black head. 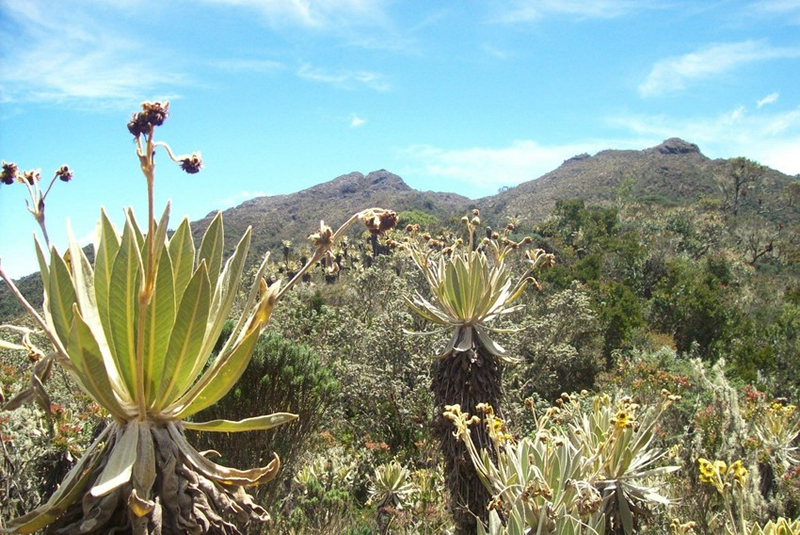 The Paramo habitat of the beautiful Colibri del Sol Reserve, home to many rare and threatened bird species where Ruth spotted the Fenwick’s Antpitta. 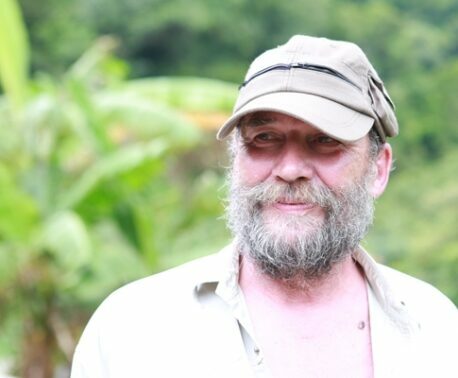 The commendable and effective work of ProAves’ to protect biodiversity rich areas of Colombia while there is still time, in a battle against the country’s surging development and urban expansion, was clear to see on the site visit. 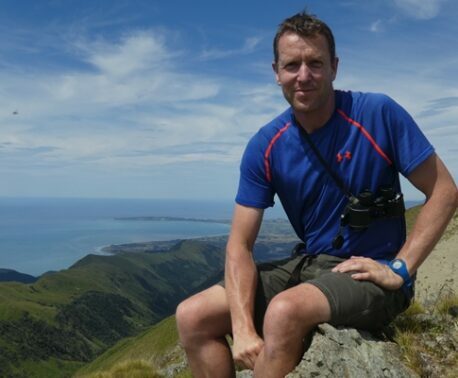 WLT looks forward to strengthening our partnership with ProAves into the future and helping them to fund the creation of more nature reserves through the Buy an Acre appeal.